You've bought the Google Cardboard kit and are waiting patiently for the Oculus Rift. Which you'll never be able to afford. VR headsets are in a funny place right now - it looked like Samsung had the answer, we're testing its impressive $200 headset right now so expect a Gear VR review very soon. But there's one problem: it only works with the Galaxy Note 4. Enter XG VR. A headset that's less than half the price of a Gear VR and compatible with every smartphone from an iPhone 5 to a Nexus 6. It's also not made out of cardboard. The company behind it, though, is I Am Cardboard, which sprang up after Google Cardboard was announced with its own design for developers. 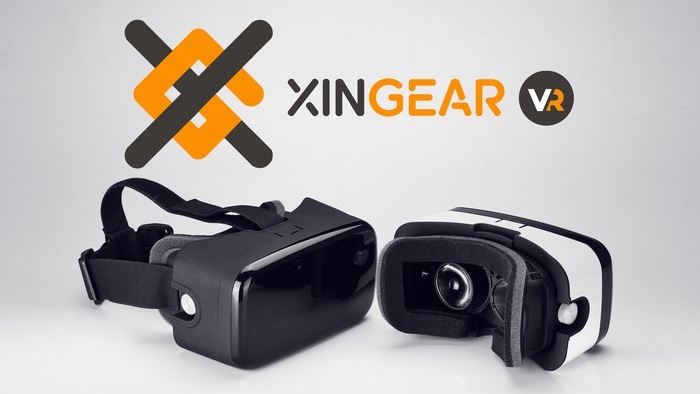 XG VR is for everyone else: the plastic body looks very similar to the Gear VR and it has an interchangeable foam pad for comfort plus a 100 degree field of view. As with Cardboard and Gear VR, your slotted in smartphone provides the display and processing power. Like the Carl Zeiss VR One headset and Archos VR Glasses we've seen, it's a cheaper approach that makes your phone do all the heavy lifting. It will be compatible with Google Cardboard apps in the Play Store, not a great deal right now but there's plenty to play around with on such a cheap purchase. The Kickstarter campaign has currently raised $45,000, more than double its target, and there's still 42 days to get pledging. If you can deal with wearing a white unit, there are still some XG VRs left for $59, otherwise its the still very tempting Kickstarter price of $69. I Am Cardboard will ship anywhere in the world but not until May 2015. We can't wait.